President Obama just gave his farewell address to the nation, and is ready to go on a well-deserved holiday. However, Spotify has other, big plans for him. The company’s CEO just tweeted out a job description, boldly aiming to snag the one candidate in the world whose skill set fits: President Obama. 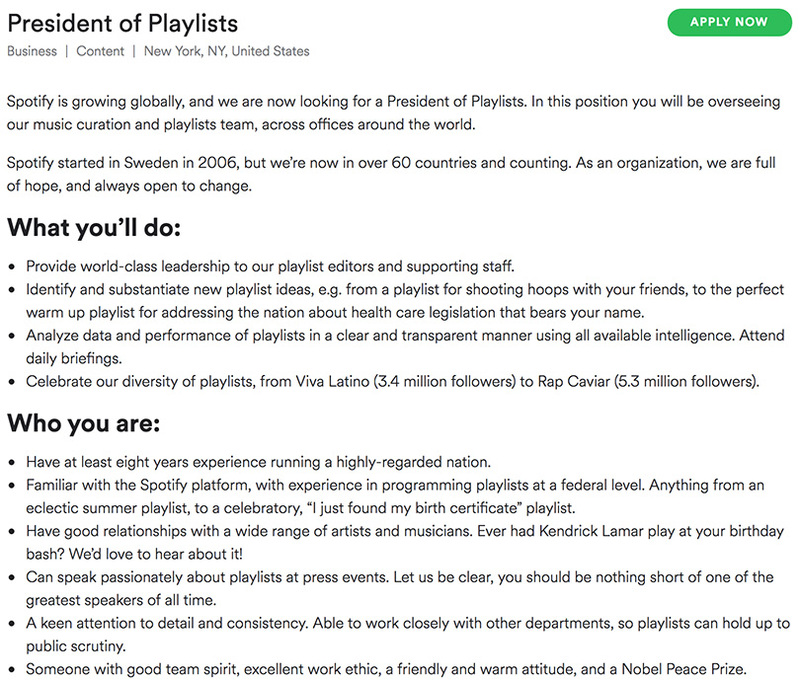 Spotify is not making a completely Hail Mary move here. 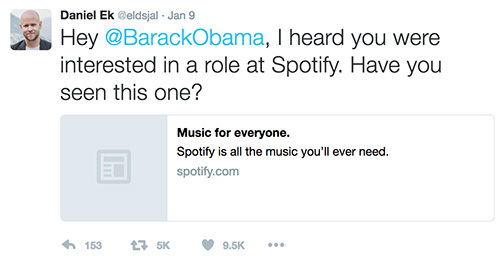 This idea came about when President Obama admitted to the wife of the US Ambassador to Sweden that “I'm still waiting for my job at Spotify... Cuz' I know y'all loved my playlist." As you can see, aside from showing a clear passion for the product, Obama has been an evangelist for the company and got Vice President Joe Biden to also become an avid user. Who wouldn’t want an employee ambassador like that in their company. Well played, Spotify! 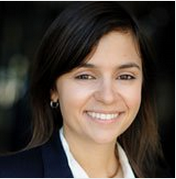 We cannot wait to hear how many job applications and hires you made from this clever move.